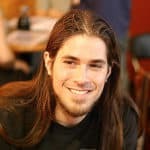 Home > Beer Essentials 101 > WilliamsWarn Counter Pressure Bottle Filler Review: Is it Worth Buying? WilliamsWarn Counter Pressure Bottle Filler Review: Is it Worth Buying? 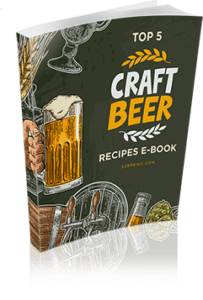 Once your brew is finished to perfection, you’re likely going to want to store it in bottles both to make it easy to dispense and to give it that air of legitimacy a growler just can’t provide. 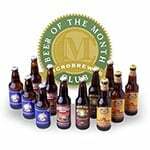 When it comes to bottling, there are a couple of choices. Either you can use a hose and gravity system, or you can aim a little higher and use a counter pressure bottler. The hose and gravity method is labor intensive and inexact. A straight-up beer gun is a counter pressure filler, but takes a lot of practice and often winds up leaving enormous foamy heads on your beer. 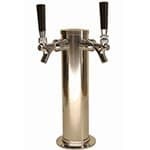 While the WilliamsWarn Counter Pressure Bottle Filler by comparison sets up quickly, fills bottles perfectly and allows you to enjoy your beer immediately. 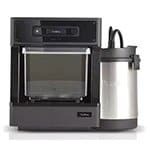 3 Is the WilliamsWarn Counter Pressure Bottle Filler Worth Buying? 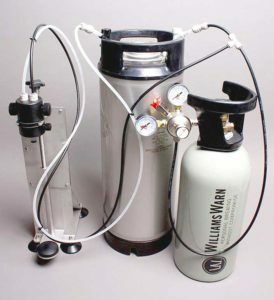 The WilliamsWarn Counter Pressure Bottle Filler is capable of bottling a 5-gallon keg of your precious home brew in about half an hour. And it does so in a way that won’t leave your brew foul or foamy. 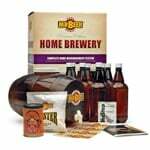 It works with any home brew type keg and can accommodate anything from a standard beer bottle up to a 3-liter growler. The WilliamsWarn sports easy to use push-lock fittings on top. Once everything is attached and your bottle is in place just open the gas valve for a few seconds to properly pressurize the bottle and purge any air. Once that is done just open the liquid side and fill. Because your beer is filling against the pressure any head is suppressed and you don’t wind up losing carbonation in the long run. How much pressure is behind the beer as you fill as well as the flow rate are controlled by the setting on the pressure valve. As we said, with a bit of practice there is no reason you shouldn’t be able to bottle 5 gallons of home brew in about half an hour. Much faster than is possible with other non-automated processes. Another plus is that the beer is ready to go immediately, since it’s already carbonated. Just chill the filled bottles for a while and serve them at your party the same night. See the video below to see this bad boy in action. Set the fill speed by adjusting the pressure valve. Will fill everything up to a 3-liter growler. This product is not perfect, but none of its shortcomings are deal breakers. For instance, the suction cups sometimes need to be finessed to seat properly, especially on slick surfaces. 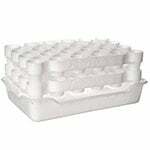 In addition, the unit can sometimes seem a bit unstable, especially before you have started filling the bottle. Most people won’t find this a problem. Some of those who do will fix the unit permanently to a counter or table or even mount it to the wall. But it’s really not necessary to go that far. Just be a little careful. We’ve also heard rumblings that the clips that come with the unit are prone to breaking easily, although we ourselves had no such problem. Can seem a bit unstable at times. Make sure the suction cups are firmly affixed. Is the WilliamsWarn Counter Pressure Bottle Filler Worth Buying? 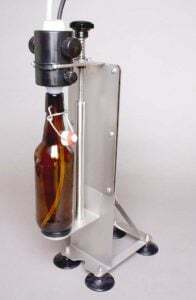 We would wholeheartedly recommend the WilliamsWarn Bottle Filler to anyone producing moderate amounts of homebrew. If you’re only making small quantities, then you might just want to stick with gravity or a bottling gun. 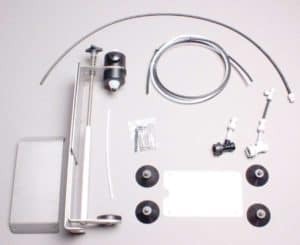 But if you routinely produce 5 to 20 gallons at a clip you’re going to really appreciate the time and aggravation you will save with this filler. Even if you are fond of storing your creation in growlers, the WilliamsWarn will have you covered. It does a much more reliable job of quickly filling your growler without causing a foam tsunami then other methods. Is it going to cost more than some other counter pressure bottle fillers? Yes. But it’s really a classic case of getting what you pay for. 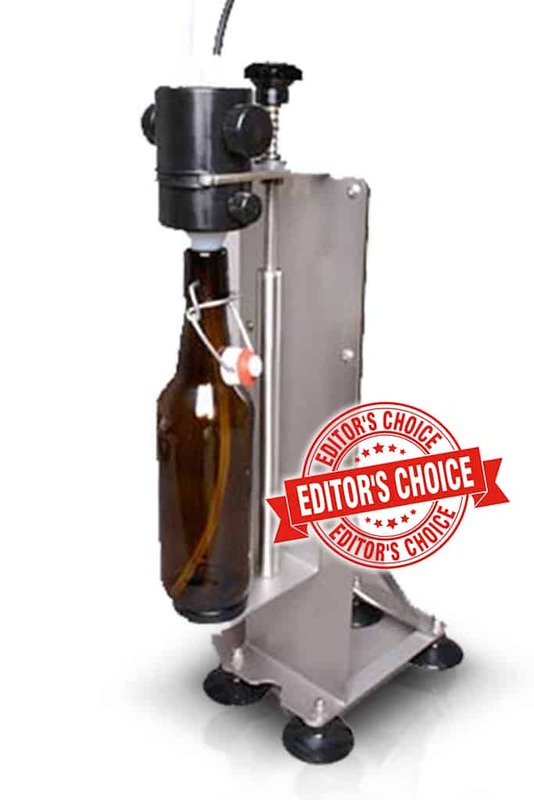 If you care about the end result, you owe it to your homebrew to give it the best chance to shine – the WilliamsWarn Counter Pressure Bottle Filler will do just that.